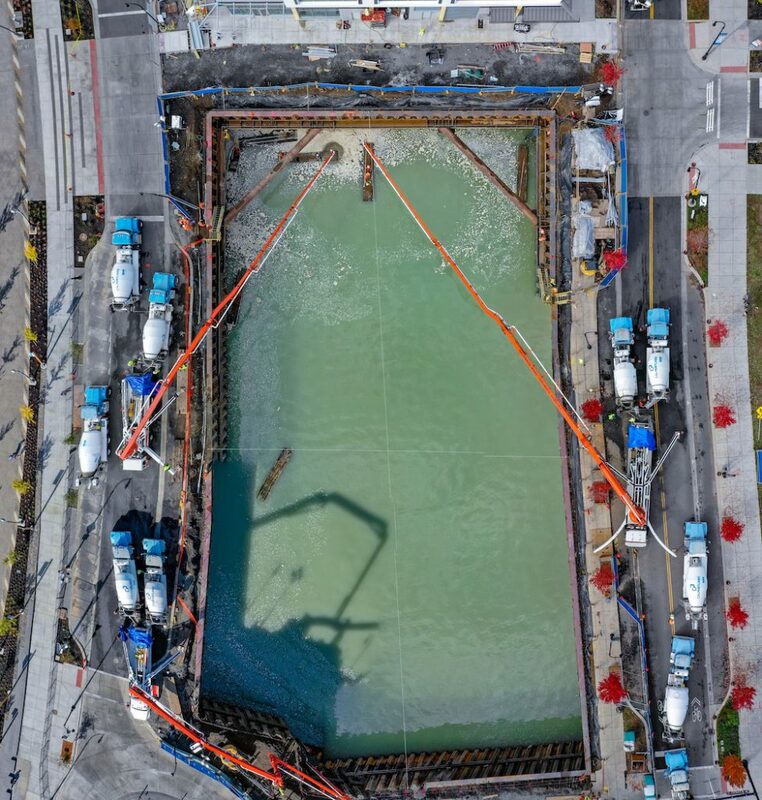 Kirkland Tower – Indigo Hotel - Kramer Gehlen & Associates, Inc.
Construction teams poured over 5500 cubic yards of concrete for a tremie slab below the water table. 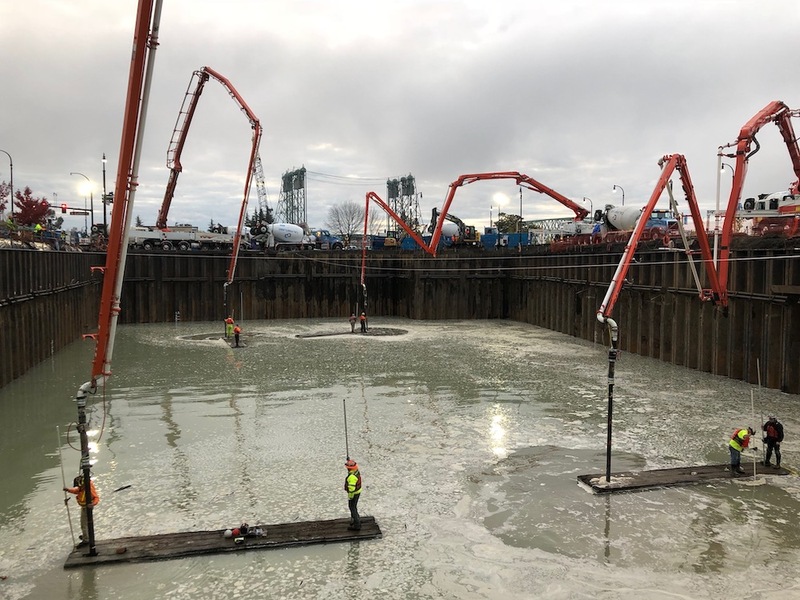 From rafts, construction crew members guided concrete pump nozzles at the bottom of the cofferdam to seal the excavation cut, allowing the basement waterproofing and mat foundation to be placed. Starting at 2:00 AM and finishing at 3:00 PM, they worked around the clock to complete this project in one continuous pour. This was our first concrete pour to involve rowboats!